Regale Microwave Ovens Ltd, established in 1983, are proud to be the appointed wholesalers of Commercial Microwave Ovens manufactured by top names such as Sharp, Panasonic, Daewoo, Merrychef & Samsung along with combination microwave ovens from Panasonic, Maestrowave and the latest model line up from the Merrychef Eikon range. 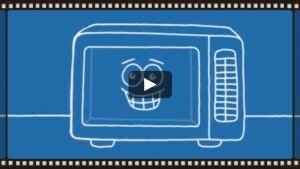 All microwaves carry a manufacturer’s warranty, most of which have a full three years parts and labour ‘on-site’ repair warranty (excluding some light duty models) while most of the combination microwave ovens have a twelve month warranty (with the exception of the Panasonic which has a full 3 year warranty). For service, both within and outside the warranty period, the manufacturers have a full service agency network in the UK (including their own engineers) and Regale Microwave Ovens are pleased to be part of this network which covers the nation to ensure good, prompt service. Regale do not charge for their next working day UK Mainland delivery service, (subject to stock availability – and excludes weekend/bank holidays). Specified AM, Saturday, North Scotland, Ireland and offshore islands deliveries can be arranged at an extra charge. Although specialists in commercial and heavy duty microwave ovens, Regale can also supply the full range of commercial catering equipment from Blue Seal, Maestrowave and many other top manufacturers. Please contact us for full details. Regale Microwave Ovens have been providing microwaves and other commercial catering equipment for over thirty years, and are experts in our field. To help you choose the best microwave oven to suit your needs and also to help you get the most from it after sale, we’ve added downloadable data sheets and operators manuals on each product page. If you are unsure which product is right for you, can’t see what you’re looking for or have a question about any of our products then please don’t hesitate to ask. MICROSAVE microwave liner – Save Time, Save Costs & Saves Repairs!